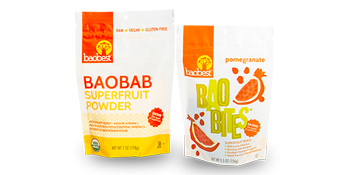 Baobab Fruit Powder is composed of 50% Dietary Fiber, 75% of which is soluble Prebiotic Dietary Fiber. Its effectiveness as a prebiotic has been proven both in research and its traditional use in Africa. Italian researchers have discovered that Baobab Fruit Powder has a positive prebiotic effect on key groups of probiotic gut flora. Compared to controls, they found Baobab Fruit Powder promoted significant increases in the production of two of the three key bacterial groups; Bifidobacteri and Lattobacilli. The lower the Glycemic Index (GI) of a food, the slower the rise in blood glucose levels will be when the food is consumed. Researchers at the Oxford Brookes University in the UK demonstrated that consuming Baobab Fruit Powder helps regulate blood sugar – which is particularly good news for those with Type 2 Diabetes. 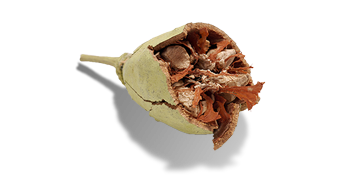 Baobab is rich in soluble dietary fiber which slows down the rise in blood glucose, helping prevent sugar spikes. It is also high in polyphenols which have been shown to effect the release of sugars from carbohydrates into the blood stream, reducing their conversion into glucose. Adaptogens are natural substances that are able to decrease the level of stress, anxiety, fatigue and tiredness in the human body. And increase the ability of the human body to react and adapt to stressors. Baobab unique combination of vitamins and minerals make it a highly effective adaptogen. Blood Alkalinity is believed by many to be the key to greater overall health, lowering illness and promoting longer living. For our bodies to function optimally, we should make sure that we have an alkaline pH blood level. How do we do this? By eating highly alkaline foods. The PRAL rating (potential renal acid load) is a measure of the alkalizing properties of foods. With a PRAL rating of -52, Baobab Fruit Powder is one of the most blood alkalizing foods on the planet! While exercising we lose electrolytes through our sweat, mainly sodium and potassium. Ingesting potassium in combination with water helps the body to rehydrate more efficiently. Baobab Fruit Powder has potassium values ranging between 1800 mg and 2400 mg/100g; which is six times higher than bananas, the fruit most commonly recommended by nutritionists for its potassium content. The fact that it is over 80% soluble makes it ideal for hydrating powdered drink mixes and sports beverage applications. Average potassium values per 100g against other dried fruits.